If you have kids in your house, you probably have a pack of markers. Kids love markers! 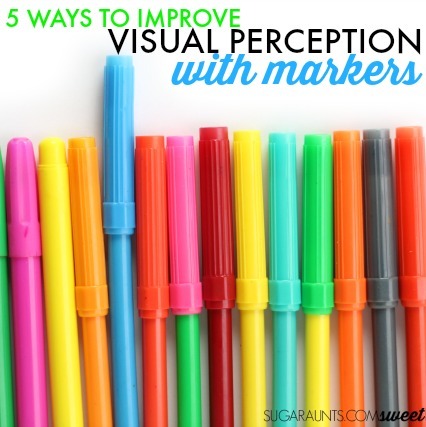 Here are a few ways to develop visual perceptual skills with markers. Using a common item like regular old markers makes addressing visual perception and the skills needed for handwriting easy and frugal. 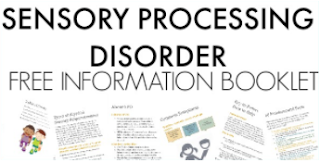 Most parents know that addressing the underlying vision issues behind reading and writing challenges can be quite difficult when there are costs of therapy or treatment tools. Using a cheap-o tool like a regular pack of markers is an easy way to get around the cost of high-price therapy tools. Likewise, for the teachers or school-based Occupational Therapist, inexpensive treatment for a common challenge is essential. Handwriting, reading, and almost every activity that we do requires visual perceptual skills for visually scanning, pinpointing essential information, and attending to details like lines on paper. You can find more easy handwriting activities like this one in our new Easy Handwriting Activities series. 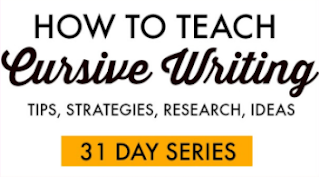 Each Tuesday, we'll be sharing creative and easy ways to help with handwriting. 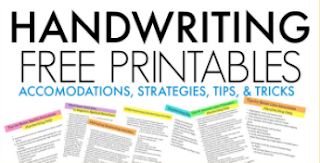 If you are looking for more tips and strategies to help with handwriting, be sure to join our Sweet Ideas for Handwriting Help Facebook group. We used a simple pack of markers. This type is perfect because the whole marker is the color of the ink. It allows kids to match up colors for some of the visual perceptual activities outlined below. I love a big collection of markers like these ones for these visual perception activities because there are several markers in a single color or shade. For example, using several shades of red is a great way to work on visual discrimination and form constancy. 1. Pour the entire pack of markers into a small bin like a pencil box. Ask your child to pull out a specific color or a sequence of colors. This helps kids work on figure ground skills. Visual figure ground allows us to pull out important information from a cluttered background. This is an important skill for handwriting when we visually pull out written work from a paragraph when we copy. 2. Line the markers up side by side. Position some of the markers with the caps in one direction and most of the caps pointing in the other direction. Kids can point to or name the colors that are pointing in the wrong direction, while working on visual discrimination. Visual discrimination skills allow us to determine subtle differences in things. Visual discrimination is needed for written work when we notice a "b" vs. a "d" or an "h" vs an "r". 3. 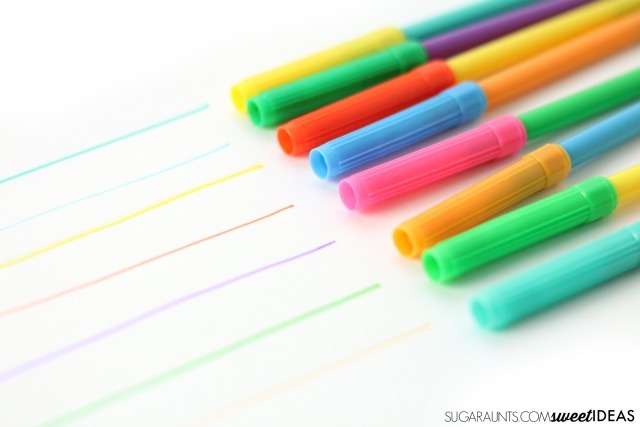 You will need a couple of markers of the same color or shade for this activity. 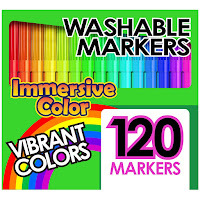 Remove the red caps from some of the markers. Place them back on other markers, mixing up the lids. Place a handful of markers in a pencil box. Ask the child to look in the bin and point to or pull out the markers that have "red". Some of the markers have a red bottom and others have a red cap. 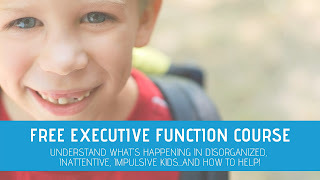 By performing this activity, kids work on form constancy. They are able to address this visual perceptual skill needed for written work by becoming more aware of shapes and letters that are the same no matter what direction or size they are. 4. 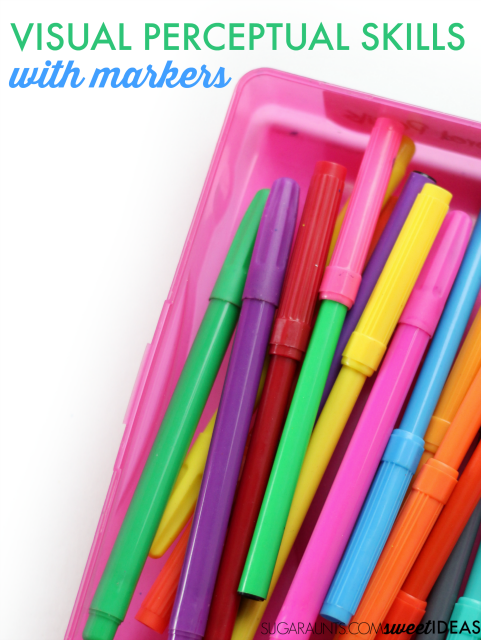 Place a handful of markers in a pencil box. Ask the child to look at the bin for a short period of time. Ask them to look away as they cover their eyes. Then remove one or two markers. Ask them to look back at the bin and determine the markers that have been removed. This task addresses visual memory. Visual memory is an essential skill for copy work in handwriting tasks. 5. Place a handful of marker lids on a table lined up side by side. 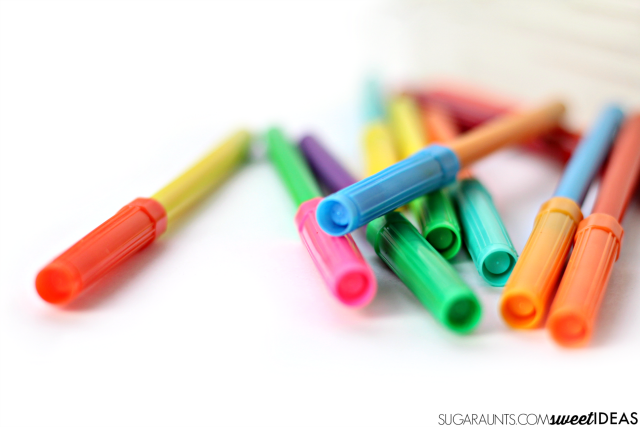 Ask the child to remember the order of the markers and then cover up the lids. They can then use the corresponding markers to draw lines in the same order that the marker lids were in. This activity is a great one for addressing visual sequential memory. Visual sequential memory is a visual perceptual skill that is essential for writing words and letters from left to right without constantly copying each letter one at a time. Looking for another easy way to work on visual perceptual skills? Try using tangrams to build the skills needed for handwriting. 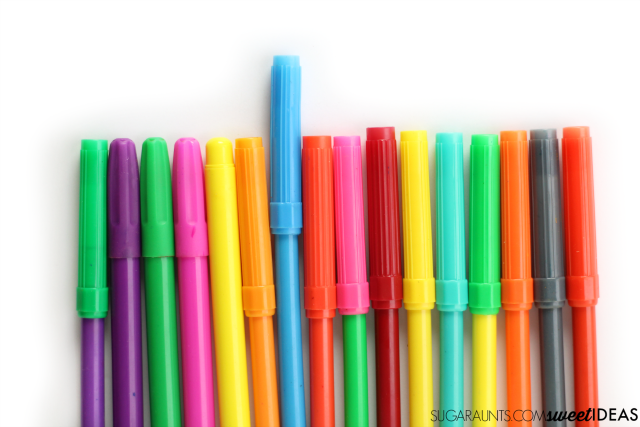 Grab these markers so you can do this handwriting activity at home, at school, or in your OT clinic!